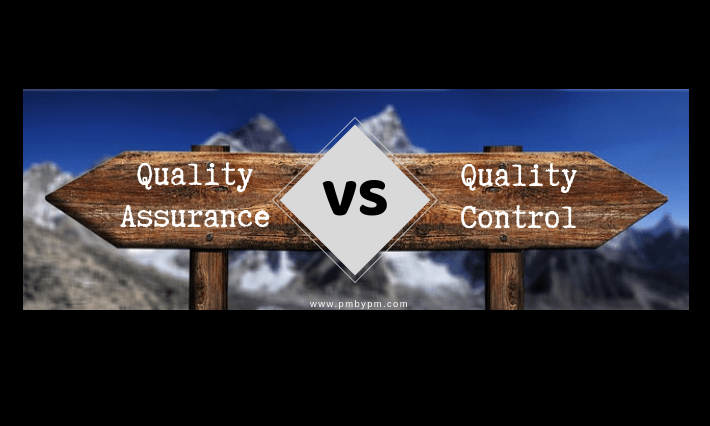 Quality Assurance vs Quality Control is one of the most confused and debated topics among project managers and quality professionals. Even some of the experienced and learned practitioners are not able to explain the difference between Quality Assurance and Quality Control. You will be easily able to distinguish and differentiate between these terms after reading this post. But, why should we differentiate? Why worry? As long as the work gets done, Quality Assurance(QA) vs Quality Control (QC) can take a back seat. I think, correct understanding of concepts is important part of learning. Otherwise, incorrect usage of terms may lead to miscommunication and confusion. 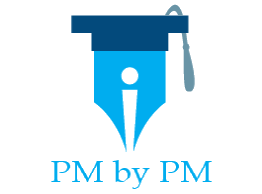 You will lose precious marks if you are preparing for the PMP Exam and you do not understand this concept fully. Note: A discussion on these is as much relevant to Project Management (PM) as it is to Quality Management (QM). PM and QM are complementary subjects and Quality is extremely important for every business. Even though, the meanings of these terms is same in both the subjects, but we will look at the difference from PM’s perspective. QA is done by the Project Team while QC is done by the Customer. QA is done by the Quality Management people while QC is done by the Project Team Members. Both these terms have same meaning. They are just different names for testing. It is safe to say that none of the above statements is correct. I believe, the major source of confusion is due to the incorrect usage of these terms in the corporate world. Somehow, different companies use these terms differently. Sometimes, professionals working for the same company fail to make a distinction. In my experience, small day-to-day examples are the best way to explain any topic. Let us explore further and look at the definitions, examples, and differences. Sometimes the standard definitions are confusing. Let us understand the “English” meaning of these terms before we look at the Project Management Definitions. Simply speaking QA means that the project team has to perform preventive actions in order to ensure that the final product or service meets the defined quality standards. You can refer to Max Wideman’s Glossary for some standard Project Management definitions of QA. The Project Management definitions are technically more appropriate, but the English definitions also convey the right meaning. Moreover, the English definitions are easier to understand. Simply speaking QC means that the project team has to find faults & defects in the product or service. You can refer to Max Wideman’s Glossary for some standard Project Management definitions of QC. Now that we understand the meaning of the terms, let us detail out the difference between QA vs QC. ResponsibilityOverall responsibility lies with the Project Manager.Overall responsibility lies with the Test Manager. Goal Strive for perfect execution so that there are no defects in the deliverable(s). Find as many defects as possible by rigorous testing. Focus On Prevention of defects in order to create robust deliverables. Identification of defects so that they can be corrected. Orientation On the process(es) that are used to create the deliverable(s). On the deliverable(s). When? While executing – before & while the work is being done to create deliverable(s). While M&C – After the work has been completed and the deliverable(s) is created. How? Follow the defined process(es), analyze them, find process gaps if any, and suggest improvements. Perform testing & inspections on deliverable(s), find faults & defects, analyze faults & defects, suggest repairs. Why? To ensure conformance to the process specifications so that defects can be prevented. To ensure the deliverables are defect free in the hands of customer. Main tools Quality (Process) Audits and Process Analysis. Testing and Inspection. Input for Process improvements. Correction and defect repair. Example Documentation of product requirements for the deliverable(s). Checking deliverable(s) against the product documentation. How do you define Quality Assurance and Quality Control? How do you use these terms in your organization? Just wanted to say the super work you are doing by providing clear info in your blogs. I came to know about this website one day before my exam.I spent about 2 – 3 hours reading all your articles, which made concepts crystal clear. Keep up the excellent work..! !